Best Wishes to all your friends and supporters for 2019! Guests at the opening of the Pagoda on 7 October 2017, being the 1st stage of Bodhi Tree’s Retreat Complex, with Ven. Pannyavaro and distinguish guest Venerable Wei Wu from Than Hsiang Temple Penang. Pagoda Build – Thank You for your donations from byron.winston on Vimeo. 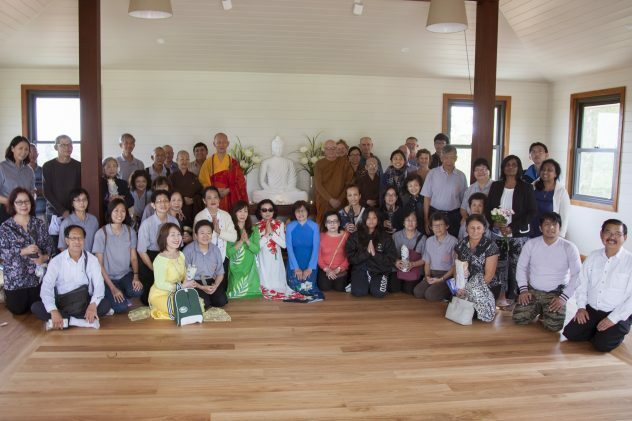 Bodhi Tree Forest Monastery (located 7 minutes from Lismore, NSW) is seeking two lay supporters to help with administrative and general operations of the Centre. In return, volunteers will be offered free accommodation in a peaceful and natural setting, conducive for meditation practice. These roles offer a great service to the Bodhi Tree community and in return, volunteers will live in a quiet, meditative atmosphere, located in beautiful, peaceful surrounds and have access to an extensive Buddhist library. Please note: anyone applying for either role must attend the 6:30 am – 7:00 am group meditation practice in the hall. Our immediate need is for fit people – 2 male or females to help maintain 95 acres of land: mowing, weeding, tree planting, and bush regeneration. Skills would include mowing, tractor slashing, chainsaw work, etc. Knowledge of vegetarian cooking and nutrition essential. Preparing, when required, breakfast and lunch for occasional visiting meditators, and lunch for Ven Pannyavaro daily. This role finishes in the early afternoon (after lunch cleanup). These hours can be flexible. In addition maintenance and planting out of the kitchen garden would be appreciated. Office Worker and/or Web maintenance person – urgent! Working hours are approximately 8-12 noon, 5 days a week. These hours can be flexible. Please note that these are not paid positions. Lodging, utilities and Internet access are provided free of charge. Outside of working hours, you will have access to our library facilities and guidance about Dharma and meditation. 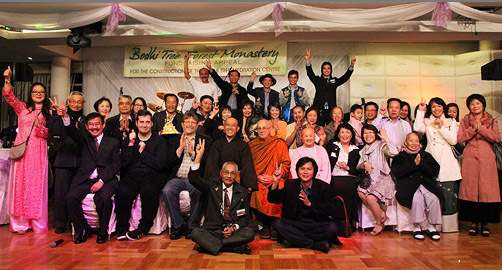 Members of Sydney’s Vietnamese Buddhist community came together earlier this year for a Bodhi Tree fundraising evening. It was a very successful night, the benefits of which will help us to make a start of the building of our new retreat complex. Ven. Pannyavaro and the Bodhi Tree Retreat Centre team wish to thank all the volunteers who organised the night and the Vietnamese community for its generous support. 2019 – is our 13th Year at Bodhi Tree! A National Geographic book: “Sacred Places of a Life Time – 500 of the World’s Most Peaceful and Powerful Destinations” includes Bodhi Tree Forest Monastery. 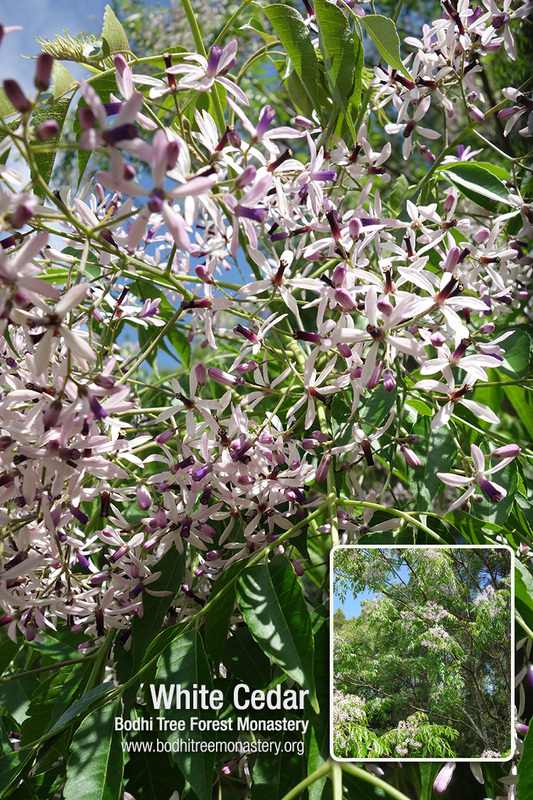 We’ve been busy planting trees – reaching approximately 8,000 rainforest trees, koala food trees, fruit and nut orchards. We have been extensively upgrading the retreat facilities and clearing and reforesting the land. Built a “contact database” – which will allow us to update past meditator on the latest news. 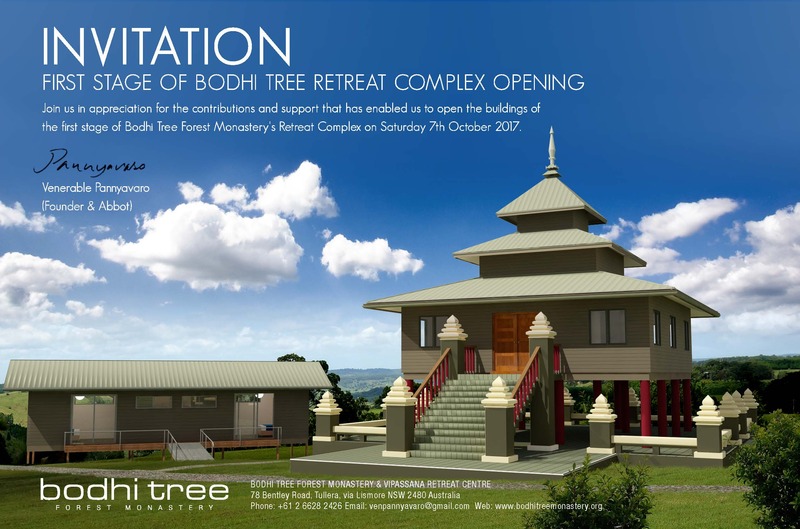 Dedication of Bodhi Tree Retreat centre by Venerable Sayadaw U Janaka as a Satipatthana Vipassana Retreat Centre. Consecrated the Sima boundary, which allows us to conduct onsite ordinations. Finished the disabled accommodation unit in the new Vipassana retreat complex- the first of forty-four to come. We’ve been running a series of Mindfulness Meditation Workshops at the end of most months. 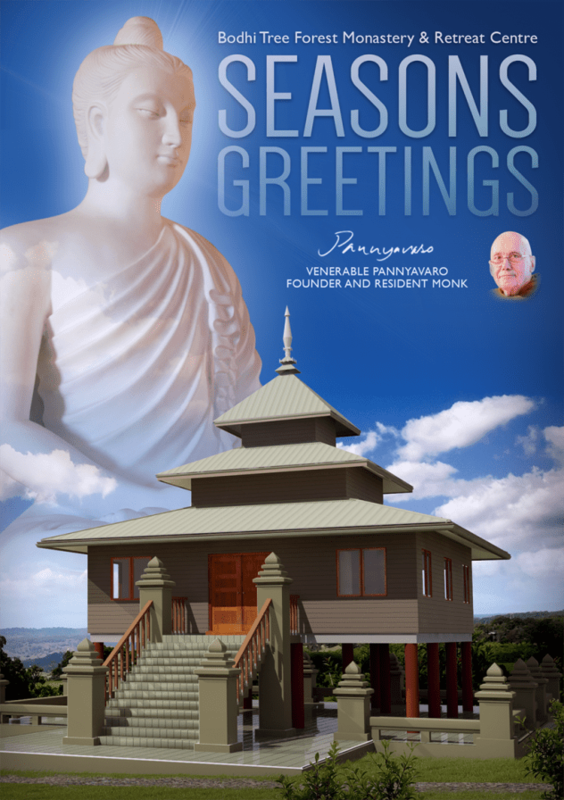 Also, we’ve restarted the 10-day Vipassana Retreats in 2019.
pBi-lingual Buddhist digital resource library. To keep up with the latest on facebook, please press the like button below.